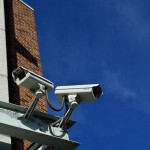 Unfortunately, for many businesses, physical security is often overlooked. Some may have budget concerns while others may simply be too busy running their business. Sometimes it takes an actual incident for businesses to consider installing a security system. Whatever the excuse, security should never be dismissed; it should be considered from the very beginning. As much as we would like to believe our chances of being targeted are slim, the truth is it happens more than we would like to admit. And thanks to advanced technology and increased demand, there are a variety of security solutions to suit different budgets and needs. Here are some of the ways your business can benefit from a solid security system. This is obviously one of the most important reasons businesses look into security solutions. The presence of security cameras tends to discourage criminals for fear of being caught. In turn, they much prefer businesses which do not have proper surveillance systems in place. In addition, security systems enable businesses to act quickly in notifying authorities when incidents do occur, helping to de-escalate the situation faster. Regardless of your company’s insurance policy, the loss of certain assets can still be devastating. For example, if your customers’ data is stolen, the repercussions could be extremely damaging and irreversible. Security systems come into play to secure assets which cannot be accounted for via insurance payouts. Employee safety is important, and security systems can help to protect and reassure your workers. For those who work late shifts, odd hours, or are often alone on the premises, security cameras can offer peace of mind. Should an accident or dangerous incident occur during this time, an advanced security system would be able to send out an alert and provide evidence as needed. You will want to extend your security camera system to the employee parking lot as well, monitoring employees and they arrive and leave work, walking to and from their cars. Employees will also feel safer knowing their vehicles are under a watchful eye. While you may think the costs are too high, security solutions can save you money in the long run. First, many insurance companies offer discounted premiums to companies that utilize security systems to deter criminal activity. Some insurance companies even go as far as helping small businesses by defraying the costs. Also, surveillance footage helps to speed up the claims process. The surveillance footage may even be used to defend your company in the case of frivolous lawsuits. For example, if a customer spends time on your property then falsely claims they were injured, without security cameras, it is their word against yours. 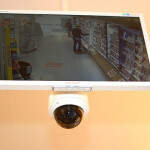 Video surveillance could prove who is liable and potentially save you from expensive lawsuits. Aside from the benefits outlined above, there is an intangible feeling of peace knowing that your business is secure. Most advanced systems now offer remote access around the clock, allowing you to check in from wherever you may be. The next, very important step is to choose the right security system for you. There are numerous security solutions that offer different features and functions, so you should take the time to evaluate your needs and research different systems. Feel free to browse our stock at SecurityCamExpert.com. We offer free quotes, site surveys, and provide installation and support services. If you need any help or have any questions, call us at 888-203-6294 and we will gladly assist you. You can also connect with us on Facebook, Google+, Twitter, LinkedIn, Pinterest, and Yelp!